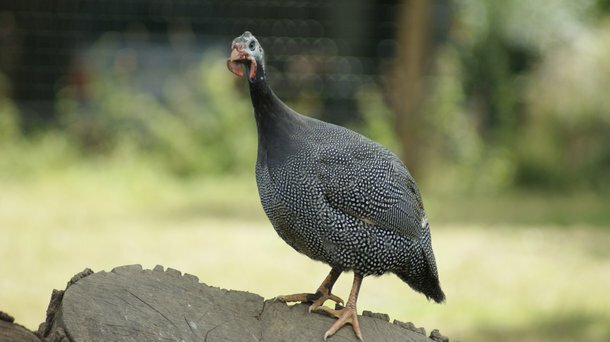 Guinea Fowls originally came from sub-Saharan regions. The domesticated Guinea Fowl is derived from one of several wild species on what used to be called the Guinea Coast of West Africa. The breed was taken by colonists to many other parts of the world. The farm-raised guinea fowl of today is the helmeted guinea fowl. Unlike all other guinea fowl, it has a horn-like 'helmet' on its head. Hendrix Genetics has been involved in the production and distribution of day-old guinea fowl chicks in France for decades. With the consolidation of breeding companies that took place over the last few years, Hendrix Genetics decided to set up its own breeding program to offer choice to producers. Not only in France, but through our extensive global network. We aim to bring a fantastic culinary experience to more and more consumers around the world. 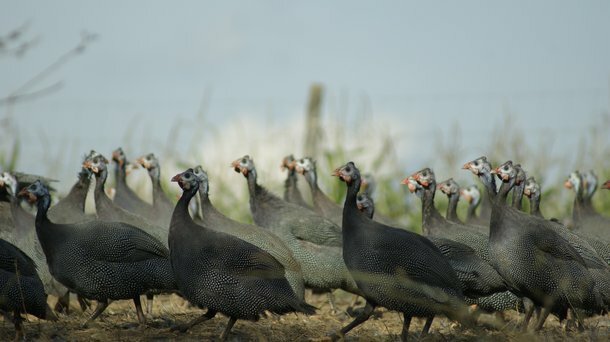 Guinea fowls produce meat that tastes like pheasant, but at considerably less cost. It is considered a luxury food. Meat quality, feed conversion and growth are important traits for us to focus on in the development of our guinea fowls. 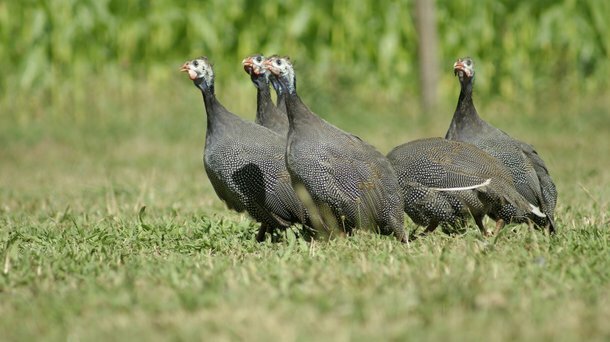 Guinea fowl is popular in France, and so our guinea fowl breeding program is tuned to the needs of the French market. With many female and male lines, we are able to tailor the final results in terms of days to market and final weight at processing to the needs of the market.